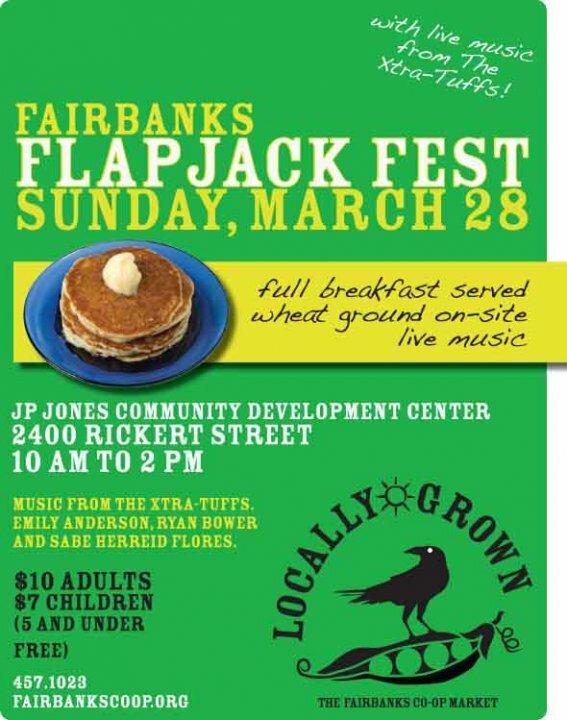 Join the Fairbanks Community Cooperative Market for a full breakfast including whole wheat pancakes. Visit with board members and find out more about our progress or share your thoughts and ideas. Admission is only $10 for adults, $7 for children 12 and under and free for children under 5.